As is our custom, we will be having a Yizkor (Memorial) Service following the morning service on Yom Kippur. This year the Yizkor service will be at 11:30 in the Community Hall at the Dell Jewish Community Campus (where all of our regular High Holiday services will be this year). 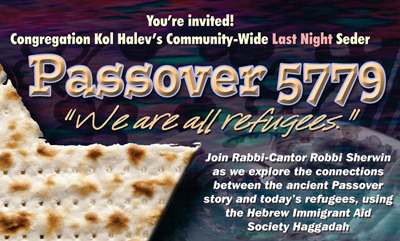 Yizkor is an opportunity for us to join together in community as we each individually remember our departed loved ones. 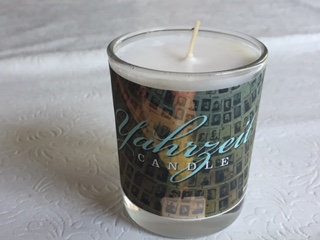 Here is a link to an interesting and informative article about the practice of Yizkor by Rabbi Shoshana Boyd Gelfand: https://reformjudaism.org/yizkor-remembering-through-forgetting. During the Yizkor service, the names of our community’s loved ones are read aloud from a book to which you are encouraged to submit names in advance. This is also an opportunity for you to remember your loved ones by making a memorial donation to CKH. This year, we are also giving away Yahrzeit (memorial) candles with our own design (pictured below) to those who submit names to the book. Donations are not required either to list names or for the candles, but are so very much appreciated. Suggested donation $100 per family for any number of names listed in the book. 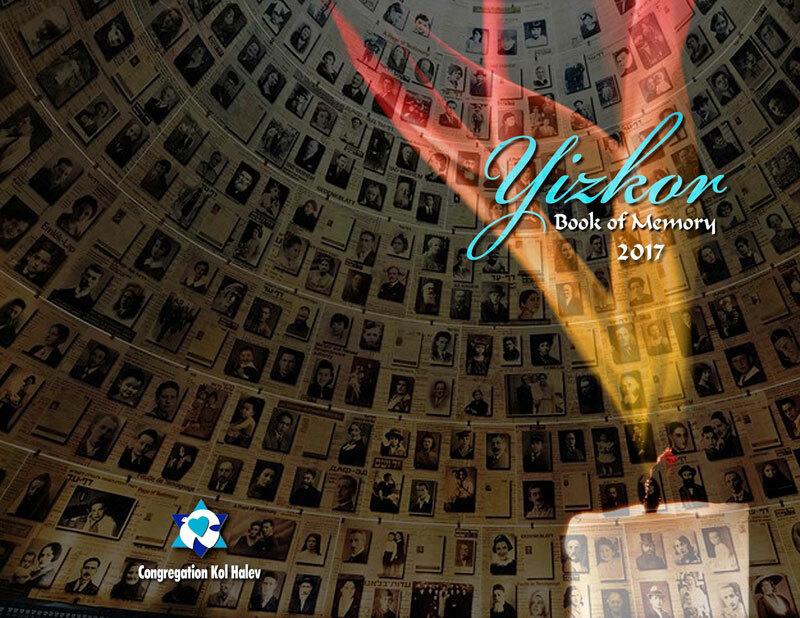 Please fill out this form to submit your loved one’s names to the Yizkor Book. 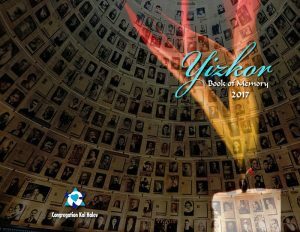 Please list the name(s) of loved ones to be included in the Yizkor Book.